Henry Hering (1814-1893). Artist associated with 54 portraits. Queen Adelaide (Princess Adelaide of Saxe-Meiningen) (1792-1849), Queen of William IV. Sitter associated with 33 portraits. Queen Anne (1665-1714), Reigned 1702-14. Sitter associated with 74 portraits. Anne of Bohemia (1366-1394), Queen of Richard II. Sitter in 6 portraits. Anne Boleyn (circa 1500-1536), Second Queen of Henry VIII. Sitter associated with 26 portraits. Anne of Cleves (1515-1557), Fourth Queen of Henry VIII. Sitter associated with 13 portraits. Berengaria of Navarre (circa 1165-1230), Consort of King Richard I. Sitter in 4 portraits. Catherine of Valois (1401-1437), Queen of Henry V. Sitter associated with 5 portraits. Catherine Howard (circa 1518-1542), Fifth Queen Consort of Henry VIII. Sitter associated with 11 portraits. Catherine of Braganza (1638-1705), Queen of Charles II. Sitter associated with 64 portraits. King Charles II (1630-1685), Reigned 1660-85. Sitter associated with 295 portraits. King Edward I (1239-1307), Reigned 1272-1307. Sitter associated with 24 portraits. King Edward II (1284-1327), Reigned 1307-27. Sitter associated with 27 portraits. King Edward III (1312-1377), Reigned 1327-77. Sitter associated with 30 portraits. King Edward VI (1537-1553), Reigned 1547-53. Sitter associated with 48 portraits. Eleanor of Aquitaine (circa 1122-1204), Consort of Louis VII, King of France, and later of King Henry II. Sitter associated with 3 portraits. Eleanor of Provence (circa 1223-1291), Consort of King Henry III. Sitter in 4 portraits. Eleanor of Castile (1241-1290), Queen of Edward I and Countess of Ponthieu. Sitter in 2 portraits. Elizabeth of York (1466-1503), Queen of Henry VII. Sitter associated with 24 portraits. King George I (1660-1727), Reigned 1714-27. Sitter associated with 53 portraits. King George II (1683-1760), Reigned 1727-60. Sitter associated with 58 portraits. Prince George of Denmark, Duke of Cumberland (1653-1708), Consort of Queen Anne; son of King Frederick III of Denmark and Norway and Sophie Amalie of Brunswick-Lüneburg. Sitter in 34 portraits. King Henry I (1068 or 1069-1135), Reigned 1100-35. Sitter associated with 19 portraits. King Henry II (1133-1189), Reigned 1154-89. Sitter associated with 22 portraits. King Henry III (1207-1272), Reigned 1216-72. Sitter associated with 35 portraits. King Henry IV (1367-1413), Reigned 1399-1413. Sitter associated with 30 portraits. King Henry V (1387-1422), Reigned 1413-22. Sitter associated with 32 portraits. King Henry VII (1457-1509), Reigned 1485-1509. Sitter associated with 66 portraits. Henry, Prince of Wales (1594-1612), Eldest son of James I. Sitter in 42 portraits. Isabella, Countess of Gloucester (circa 1160-1217), Queen of England and first consort of King John. Sitter associated with 1 portrait. Isabella of France (1292-1358), Queen of Edward II. Sitter in 4 portraits. Isabella of France (1389-1409), Second consort of King Richard II. Sitter in 1 portrait. King James I of England and VI of Scotland (1566-1625), Reigned Scotland 1567-1625 and England 1603-25. Sitter associated with 199 portraits. King James II (1633-1701), Reigned 1685-88. Sitter associated with 134 portraits. Jane Seymour (1508 or 1509-1537), Third Queen of Henry VIII. Sitter associated with 14 portraits. Joanna of Navarre (1370?-1437), Queen of Henry IV. Sitter in 2 portraits. King John (1167-1216), Reigned 1199-1216. Sitter associated with 30 portraits. Katherine of Aragon (1485-1536), First Queen of Henry VIII. Sitter associated with 16 portraits. Katherine Parr (1512-1548), Sixth Queen of Henry VIII. Sitter in 10 portraits. Prince Edward, Duke of Kent and Strathearn (1767-1820), Soldier; son of George III; father of Queen Victoria. Sitter associated with 17 portraits. Margaret of France (1279?-1318), Second consort of King Edward I. Sitter associated with 2 portraits. Henrietta Maria (1609-1669), Queen of Charles I. Sitter associated with 88 portraits. Queen Mary I (1516-1558), Reigned 1553-58; daughter of Henry VIII and Katherine of Aragon. Sitter associated with 50 portraits. Mary, Queen of Scots (1542-1587), Reigned 1542-67. Sitter associated with 151 portraits. Mary of Modena (1658-1718), Queen of James II. Sitter associated with 56 portraits. Matilda of Flanders (circa 1031-1083), Queen consort of William the Conqueror. Sitter in 3 portraits. Matilda (Edith, Mold, Matilda of Scotland) (1080-1118), Queen of England, first consort of King Henry I. Sitter associated with 3 portraits. Philippa of Hainault (1314?-1369), Queen of Edward III. Sitter in 5 portraits. King Richard I ('the Lionheart') (1157-1199), Reigned 1189-99. Sitter associated with 24 portraits. King Richard II (1367-1400), Reigned 1377-99. Sitter associated with 34 portraits. Prince Augustus Frederick, Duke of Sussex (1773-1843), Son of King George III. Sitter associated with 35 portraits. King William I ('The Conqueror') (1027 or 1028-1087), Reigned 1066-87. 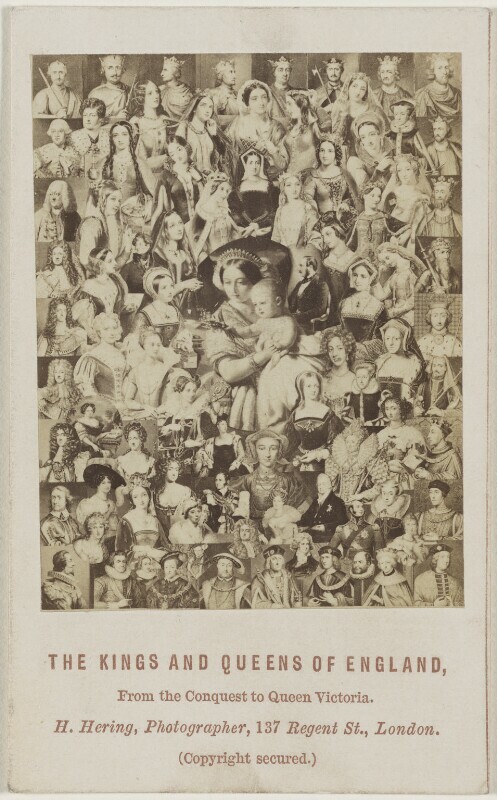 Sitter associated with 23 portraits. King William II ('Rufus') (circa 1056-1100), Reigned 1087-1100. Sitter associated with 20 portraits.